A powerful Email Newsletter Management, newsletter management and Notice Management Made Easy ! 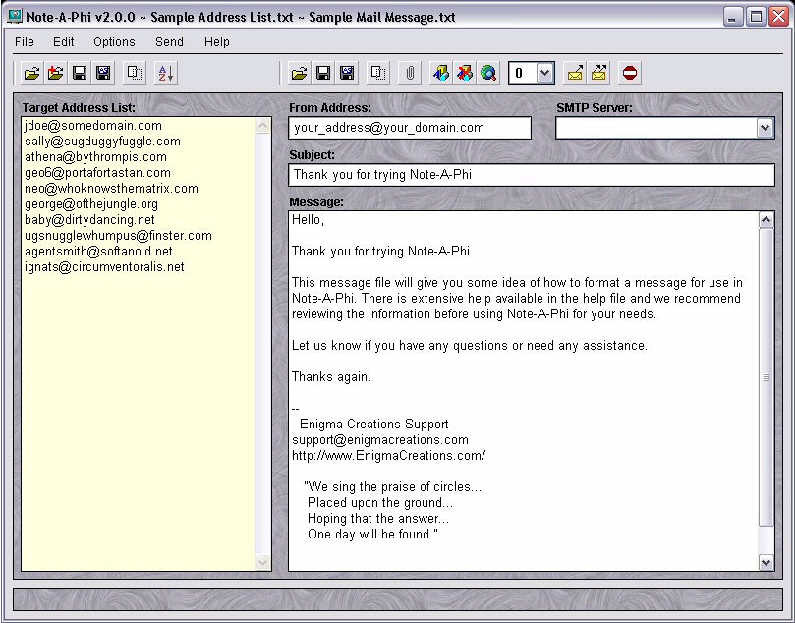 Note-A-Phi is a email newsletter management software for managing all types of email newsletters, email notification and response messages, and associated lists of email addresses. 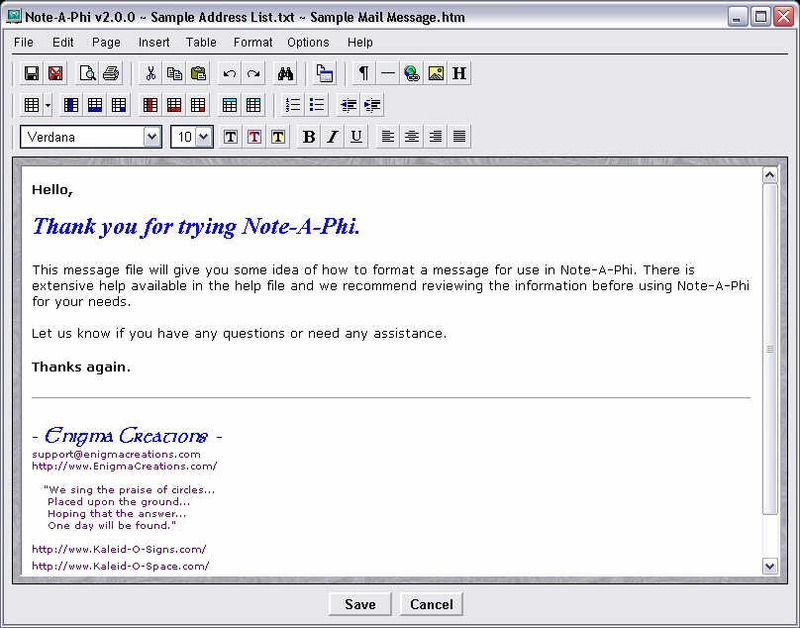 We originally designed Note-A-Phi for our own use in responding to purchases of our software products by sending registration codes and shipping notices. We also use it to send software update notifications and other news items that our customers might be interested in. 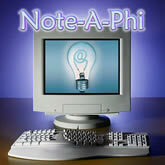 We recognized that other people may find this program useful as well and so Note-A-Phi v2 was born. Although it was originally designed as a software developer tool, we expanded it to generically cover many different uses. Note-A-Phi is designed to use your existing network or ISP's outgoing SMTP server, and to do that in such a way that you will not run into any sending limitations imposed by your ISP. Coupled with your existing e-mail receiving capabilities, Note-A-Phi provides an end-to-end tool to handle newsletters, tech support responses, product update notifications, low volume product offers, purchase acknowledgements, system availability notices, and much much more. Maintain multiple lists of target addresses. Combine lists on-the-fly for larger send operations. Alphabetize lists and remove duplicates. Import lists from CSV files. Send messages to an entire list, one item on a list, or one manually entered address. Maintain an unlimited number of message files. Create messages as plain text or HTML. WYSIWYG mode editor for HTML messages. Logs all messages sent with time, date, target address, and message file. Preview HTML messages in a browser. Maintain a list of SMTP servers to use. Internal editor for tech support requests. Set a delay between messages for ISP compatibility. Optional automatic program update checks. Command line interface allows scheduled sending.